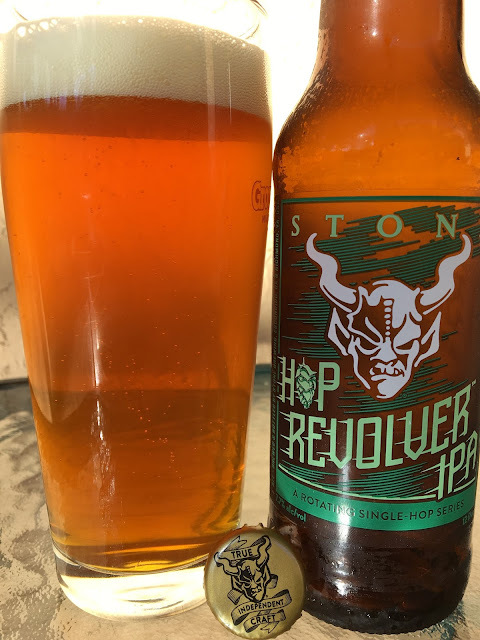 Stone Brewing has a Rotating Single-Hop Series called Hop Revolver. 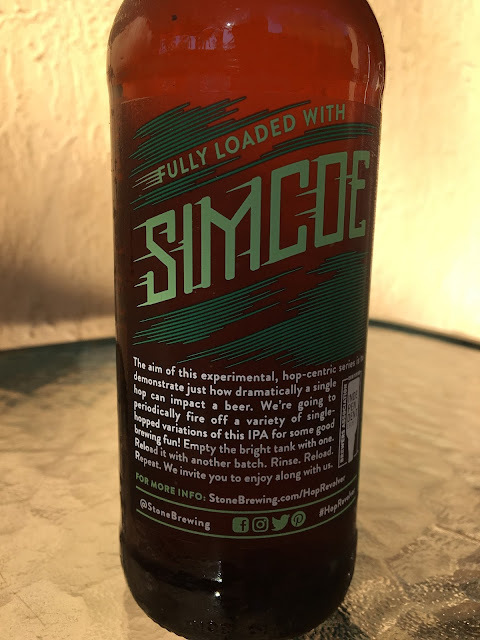 I found their Simcoe Hop version in a mixed 12 pack a few months ago. Bottled 10/??/17. Drink 11/19/17. 7.7% alcohol. Fruity aroma, bright, tropical orange and pineapple. Beautiful flavors full of juicy tangerines and pineapples. Spicy, good bitterness, just enough, perfect. Nicely carbonated, super fresh. Excellent beer!